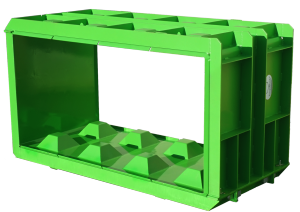 The 160x80x80 mould is the most popular in our range and has therefore been crowned as our standard concrete block mould. 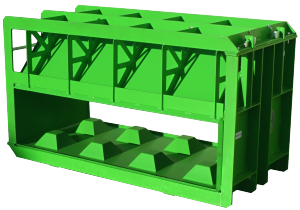 The blocks produced from this mould are large and heavy, making them ideal for the construction of high walls for retaining walls or storage boxes. 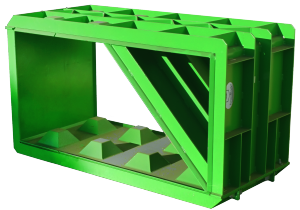 The weight of this block makes it the perfect solution for storage of recycling materials. By using the 80×80 divider, you can create blocks with the dimensions 40x80x80, 80x80x80 and 120x80x80. Here you can see an impression of a block produced using this mould. It has 8 studs which fit exactly into each other when building. 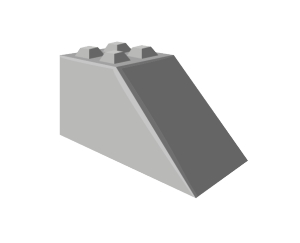 Building a wall has never been easier! You determine the composition of the concrete. Experiment and discover which compositions produce the best blocks to match your needs. 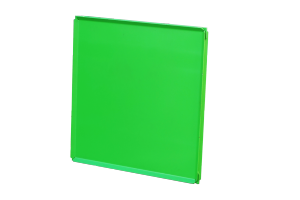 If you are considering the 160x80x80 mould, hesitate no longer and ask for a free quote. Browse through our additional products which can also be used with this product. For example, place a divider in the mould to create half or quarter blocks. 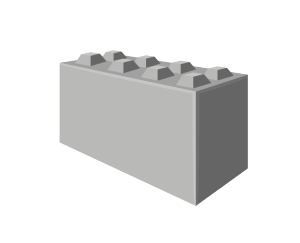 These smaller blocks are necessary when building a connecting wall. 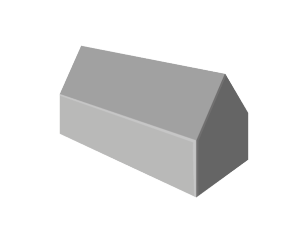 Furthermore, you can produce roof model blocks 160x80x80/90° to neatly finish your walls.